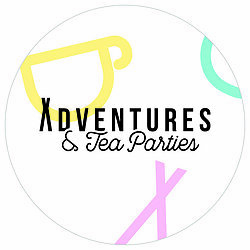 Adventures & Tea Parties is the independent creative studio of British designer/maker Joanna Payne, where all accessories are designed to make the recipient feel special and like every day can be an adventure. 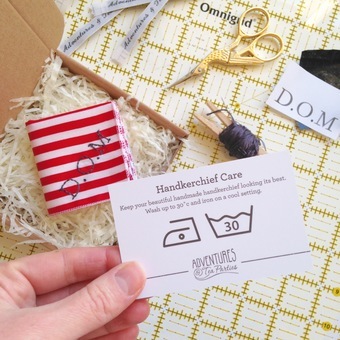 Being a huge supporter of the handmade movement, Joanna makes all items to order and by hand in her beautiful London studio. 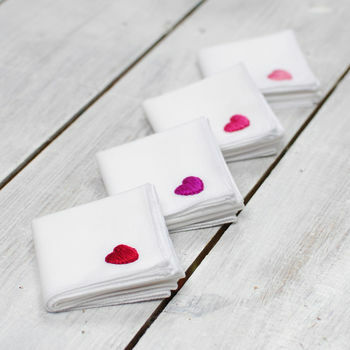 This includes the handkerchiefs themselves made from the perfect weight cotton that Joanna has sourced from UK suppliers. 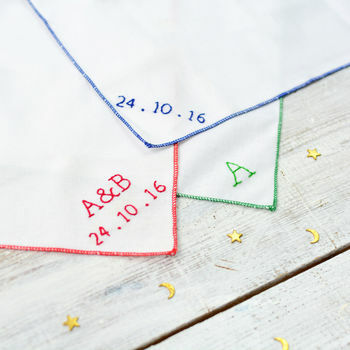 Not only that but each and every handkerchief is embroidered entirely by hand, making them 100% handmade especially for you. 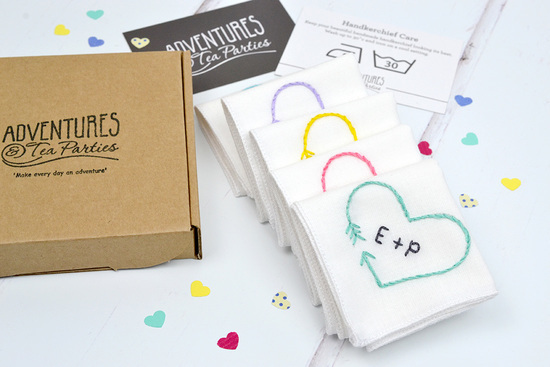 What started as a side project release from the corporate legal world, Joanna has grown Adventures & Tea Parties into a brand, which has been featured in a number of publications, including House Beautiful, Country Living, Mollie Makes and Good Housekeeping. "Absolutely beautiful. Really pleased with quality when it arrived." "Bespoke and unique very individualised gift"
"This was bought as a birthday gift for my sister and both of us have been delighted with it. 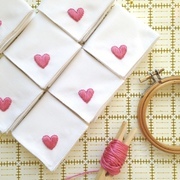 The material was beautifully soft to the touch yet felt very durable. 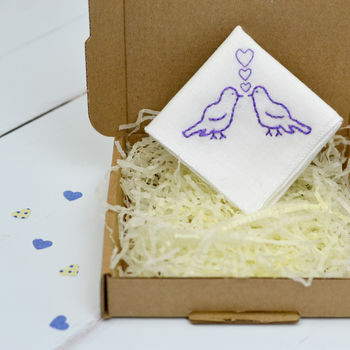 The design of the love birds was intricate and stitched with great attention to detail and the personalised letter was very nicely finished." 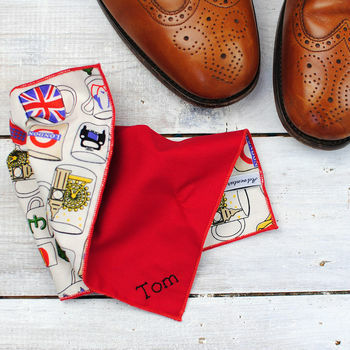 "The hanky is just as described if not better! It is ideal for a leaving gift and such great quality"
Items are dispatched 3 days after payment via Royal Mail first class post. Order cut off time for a 3 day dispatch date is 12pm Monday - Friday. Delivery times are estimated to the best of our ability and regularly updated throughout busy periods. Please note that delivery times can only ever be an estimate. If you order more than one item, these will be sent in one parcel. 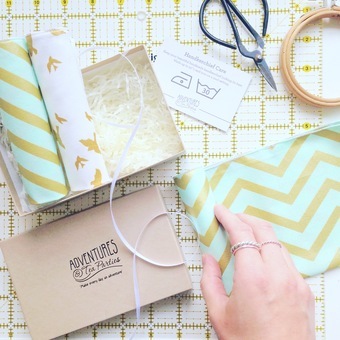 Returned products are sent at the customer's expense, unless the product is faulty.